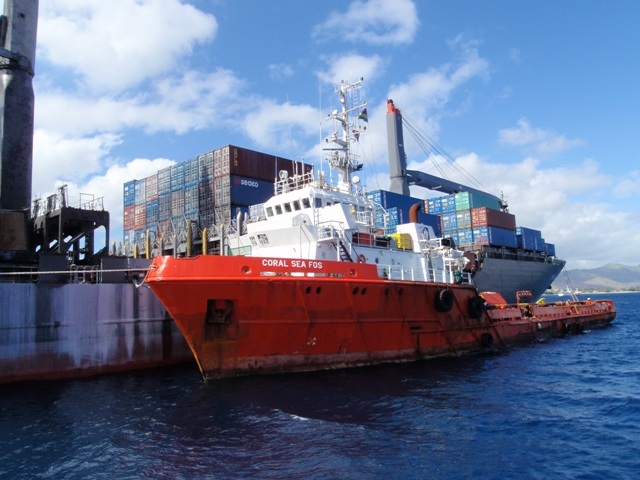 In 2013, FIVE OCEANS SALVAGE undertook successfully 8 salvage operations. Last LOF for Five Oceans for 2013 was signed in December involving bulk carrier ANNA BO (57.000DWT – built 2010). 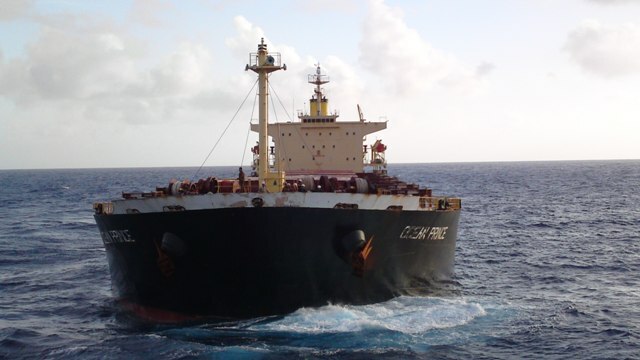 ANNA BO, whilst on a laden voyage from Indonesia to China carrying 55.000mt of nickel ore, experienced a list due to cargo liquefaction off the east coast of the Philippines. 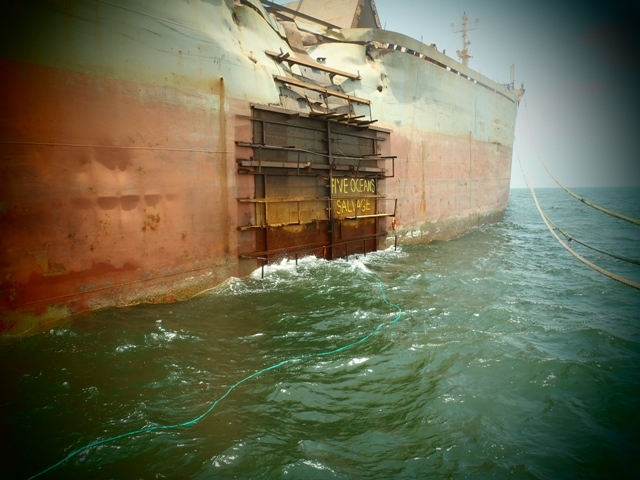 The vessel sought shelter near Polilo Island and owners signed a LOF with Five Oceans Salvage on 06th December 2013. 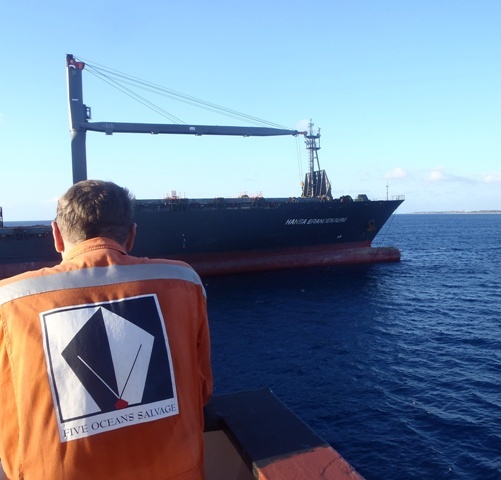 Salvors mobilized a salvage team from Greece and S/T SALVAGE ACE to assist. 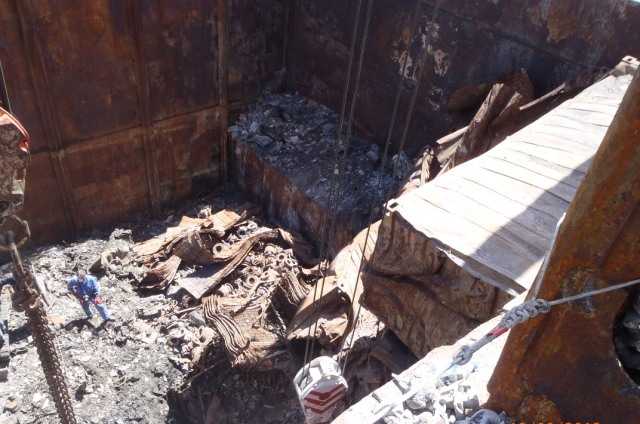 After inspecting the cargo it was established that it was unsafe for the ship to continue the voyage or even be towed to destination. 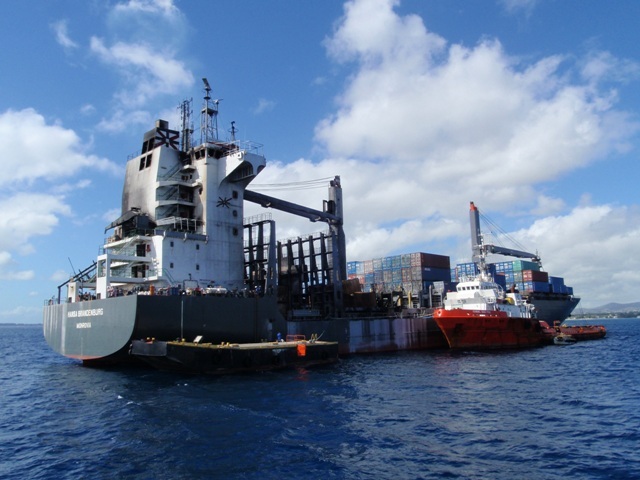 Salvors organized discharging of the entire cargo in Jose Panganiban, Philippines and ANNA BO was towed there by tug SALVAGE ACE. 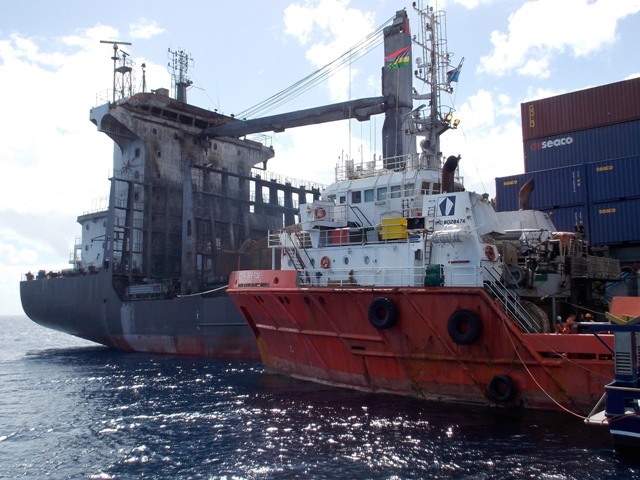 In the course of the following weeks the entire cargo was discharged using three barges and assisting tugs, local equipment and labour, while local tug VIGILANT stood by the casualty and assisted in maneuvering her as and when required. 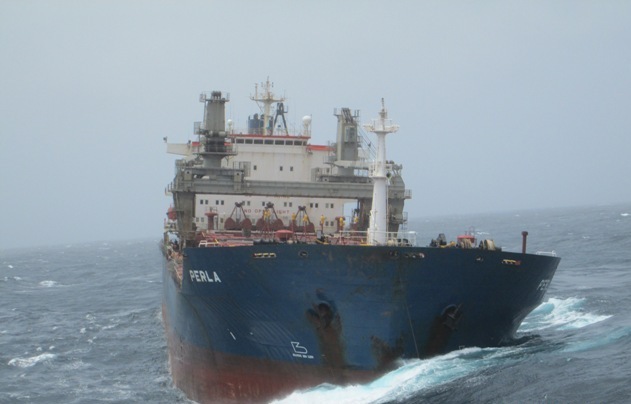 The discharge was completed on 28th January 2014, LOF was terminated, and ANNA BO resumed her voyage. 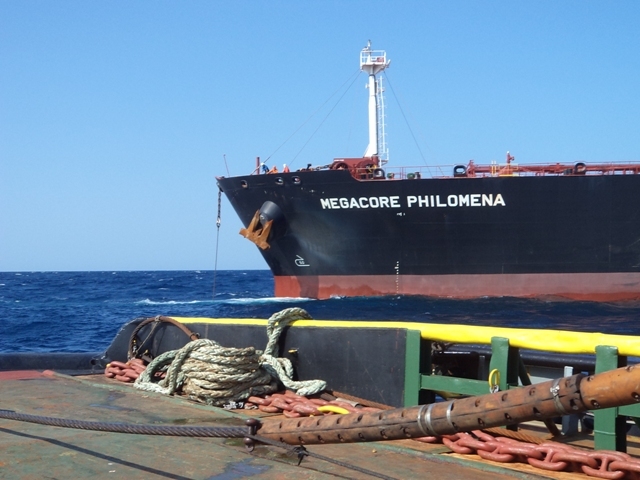 Tanker MEGACORE PHILOMENA (75,000DWT – built 2010) laden with 58,300 mt of Naphtha from Jeddah to Japan, was immobilized 70 miles off Jeddah on 05th November 2013. 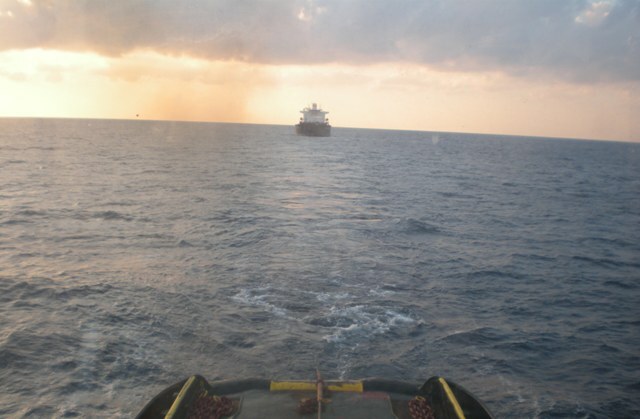 Salvors mobilized tug MED FOS from her salvage station in Greece on speculation to assist. On 07th November a LOF was signed with the owners. 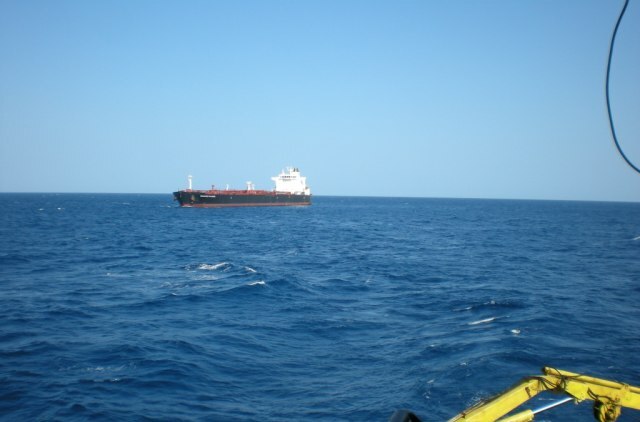 Despite an extensive search, there was no tug anywhere in the Red Sea available to assist. Tug MED FOS reached the casualty on 12th November and towed her to Suez where the convoy arrived on 17th November 2013. 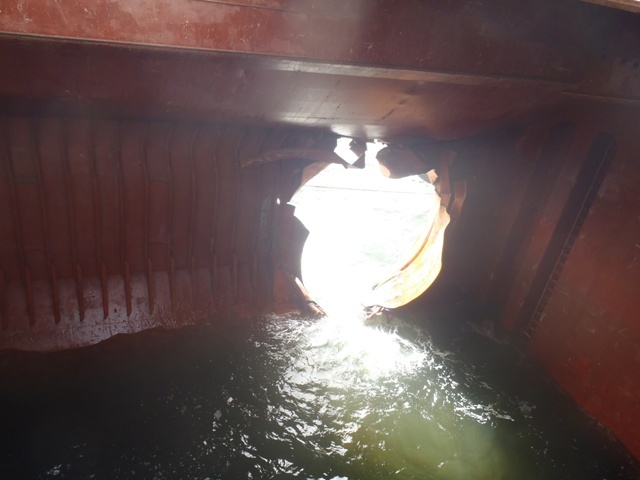 The tug remained standby until the vessel was repaired and redelivery took place on 09th December 2013. 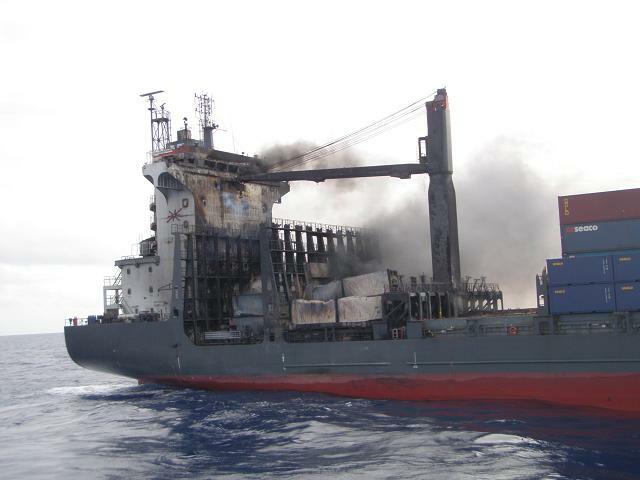 Bulk carrier PANTAGRUEL (180,000DWT – built 2004), in ballast, was immobilized 200nm SSW of Hong Kong on 29th October. On 30th October, Owners signed a LOF with FOS. Salvors, through their JV partners Swire Pacific Offshore, mobilized tugs TAIKOO and WHAMPOA from Hong Kong to assist the vessel. PANTAGRUEL was redelivered on 01st November 2013 in Yulian Shekou shipyard in China. 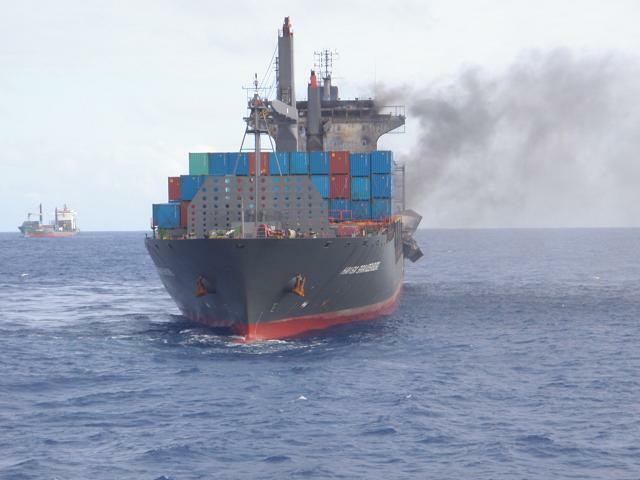 Containership HANSA BRANDENBURG (23,500DWT, built 2003), whilst en route from Singapore to Durban and a number of West African ports, suffered a fire in one of her cargo holds off Mauritius on 15th July 2013. 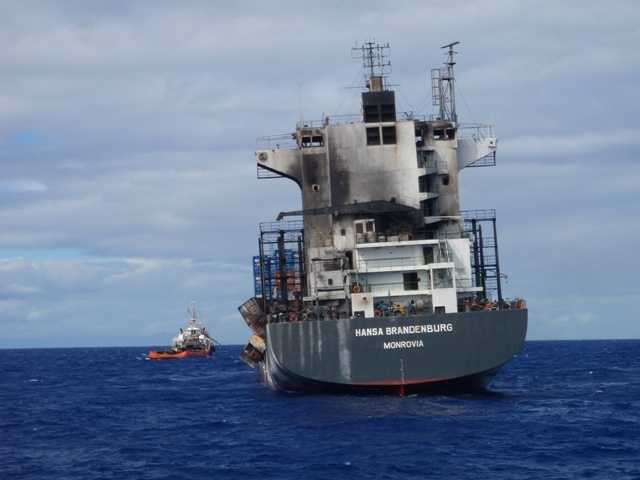 Five Oceans Salvage dispatched salvage tug CORAL SEA FOS from her salvage station in Mauritius to assist, together with a salvage and firefighting team from Europe. In the course of the following days, Five Oceans Salvage team joined forces with a SMIT Salvage team and eventually a joint Lloyd’s Open Form was signed between the casualty owners, FOS and SMIT on 18th July. 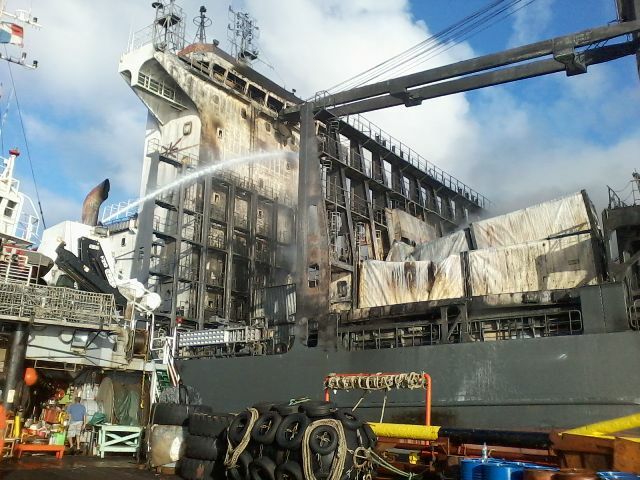 The fire was extinguished and the casualty was towed to Port Louis where she was berthed alongside in the port. 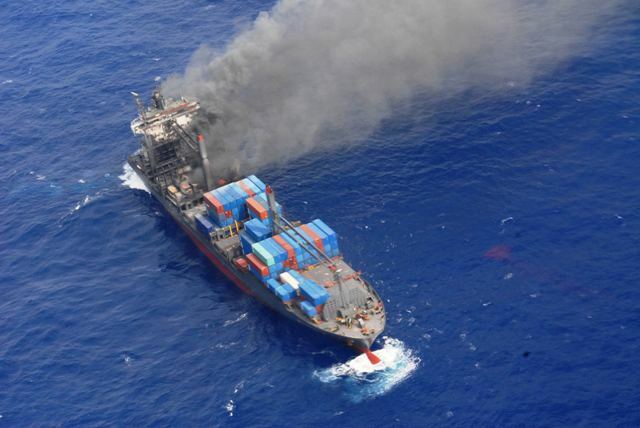 All containers damaged or hanging over the ship’s side due to the fire and explosions were removed from deck. 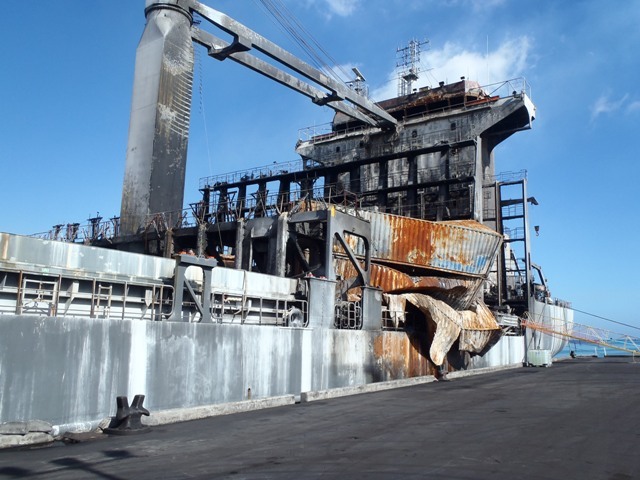 The casualty’s deck was cleaned of all debris, and the vessel was redelivered to her owners, alongside berth, on termination of the LOF on midnight 14th August 2013. 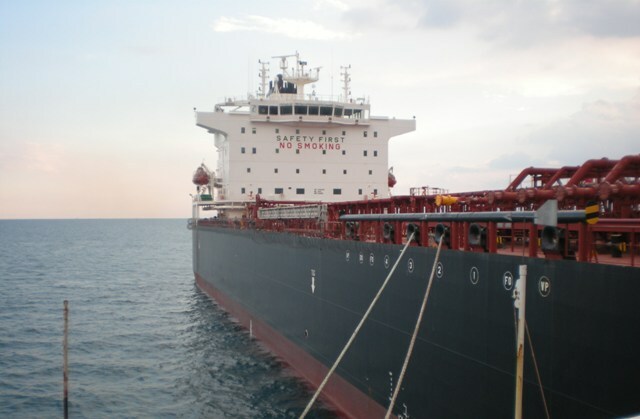 Motor tanker OMEGA (46,500DWT, built 1990) laden with 37,500mt of fuel oil from the UAE to Egypt, was immobilized due to turbocharger damage in the south entry to the Gulf of Suez on 30th June 2013. 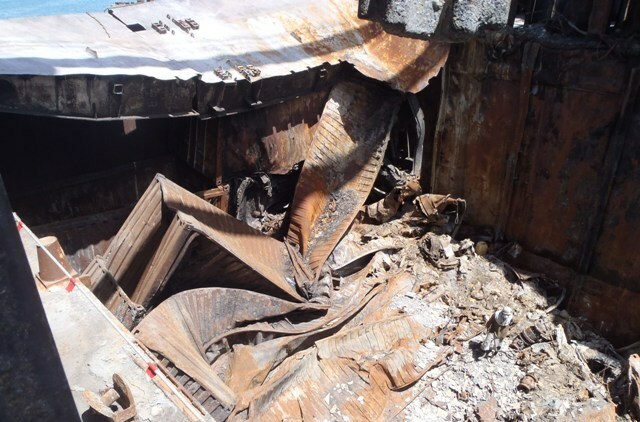 The vessel was drifting during the night in the middle of the VTS and close to the pristine natural environment and tourist resorts of Hurghada. Owners signed a LOF with Five Oceans Salvage and salvors dispatched tug BOURBON THOR from Ras Jarrah to assist and tow the vessel to Suez Anchorage. 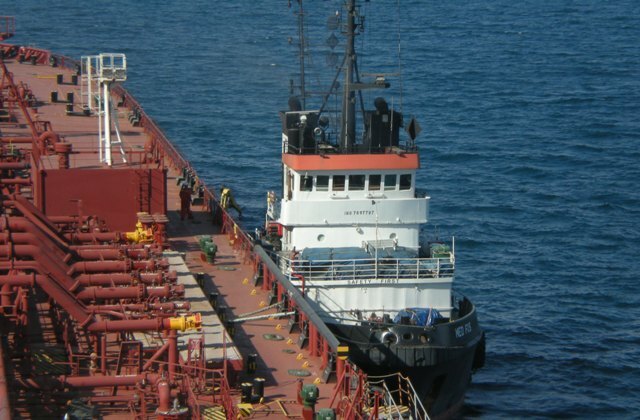 The casualty under tow reached Suez on 3rd July and dropped anchor with BOURBON THOR standing by for safety and in compliance with the Authorities requirements until repairs were effected. Subsequently, BOURBON THOR was replaced by local tug OCEAN DAMIETTA and thereafter by MED FOS that mobilized from Piraeus, Greece. 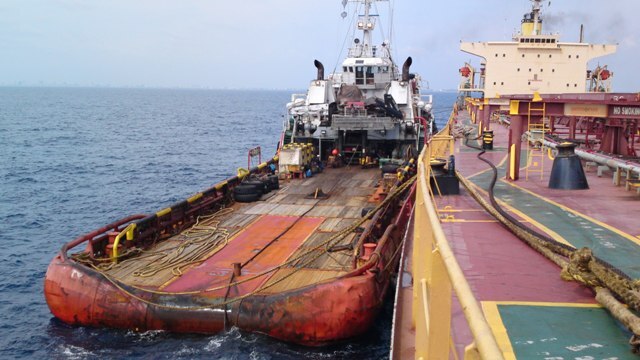 The casualty was repaired and services terminated on 5th August when the casualty proceeded for discharge in port Suez and salvors’ tug demobilized. 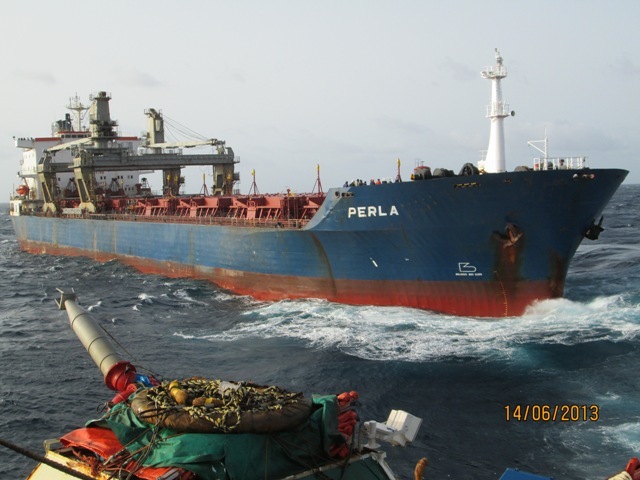 Motor tanker PERLA (48,500DWT, built 1988) laden with soya bean oil from South America to Iran, was immobilized due to engine room fire off the coast of Somalia on 06th June 2013. Owners signed a LOF with Five Oceans Salvage and salvors dispatched tug CARIBBEAN FOS from her salvage station in the UAE to assist. 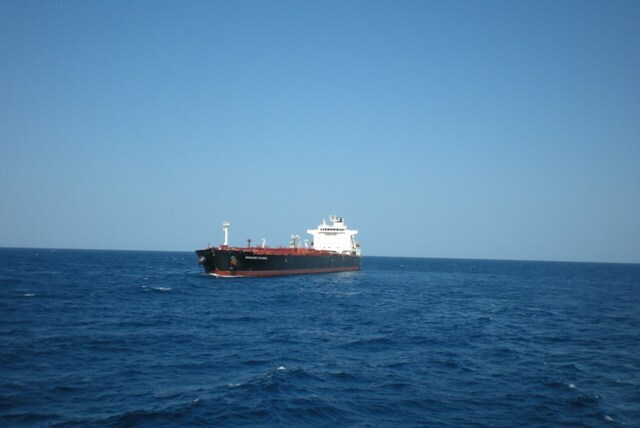 The salvage tug with an armed security team onboard, reached the casualty on 14th June, connected and started towing towards the UAE. Weather and sea conditions were very bad throughout the towage. 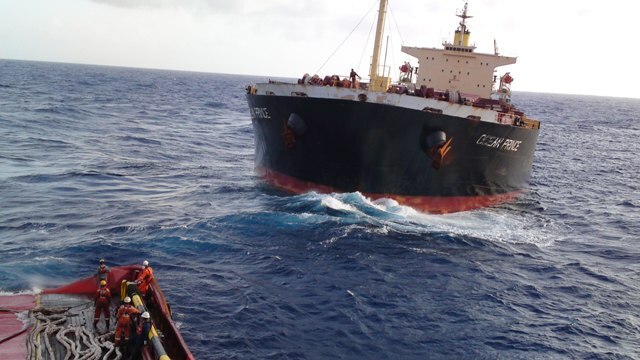 The towing connection parted four times during the course of the towage and the tug sustained damages in her hull from the bad weather and high seas. Eventually the convoy reached the sheltered waters off the coast of Oman in the beginning of July, by which time CARIBBEAN FOS was left with insufficient bunkers to complete the towage to the UAE. 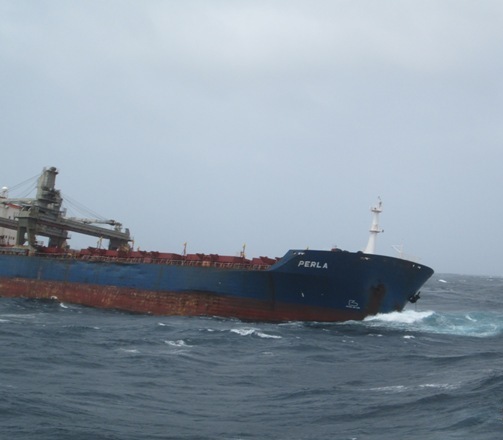 Salvors fixed tug TIBA FOLK from the UAE to assist the convoy. 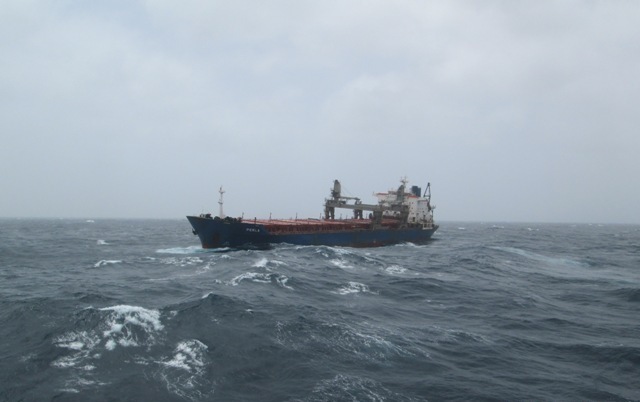 Salvors also chartered motor tanker ANTHEM from the UAE, to supply CARIBBEAN FOS with bunkers. ANTHEM, TIBA FOLK and the convoy met off Sur in Oman on 3rd July. 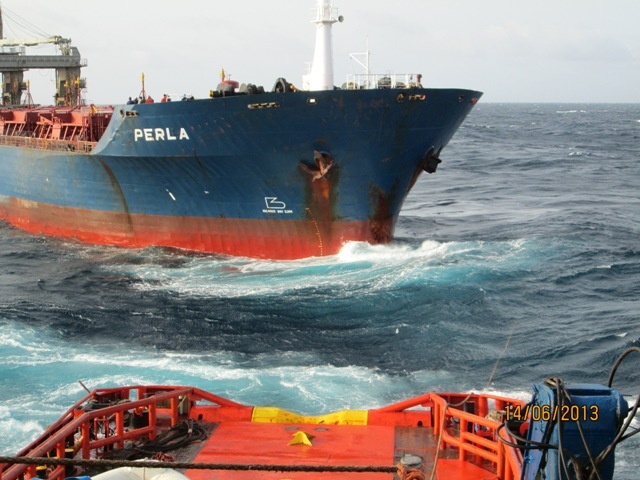 Tug TIBA FOLK held the casualty in position while CARIBBEAN FOS bunkered from motor tanker ANTHEM. Thereafter the towage resumed and the convoy reached Khor Fakkan on the 9th July. The casualty’s crew was landed ashore using the “ANTHEM”. The casualty was safely anchored 26 miles off the port and in the course of the following days, seachests were patched by divers and the vessel was made in all respects ready for redelivery. 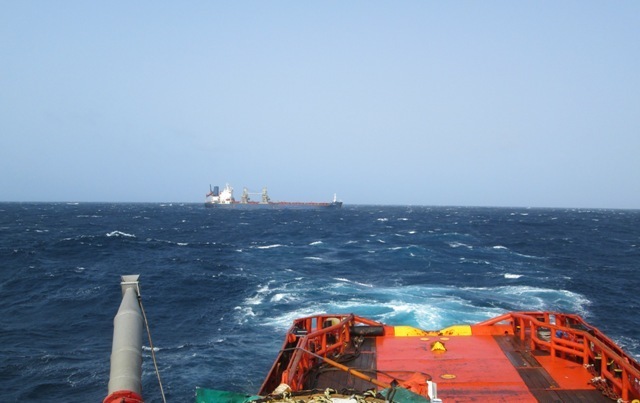 Salvors remained standing by with CARIBBEAN FOS for a further 215days until redelivery of the casualty took place following the transshipment of cargo to another vessel. 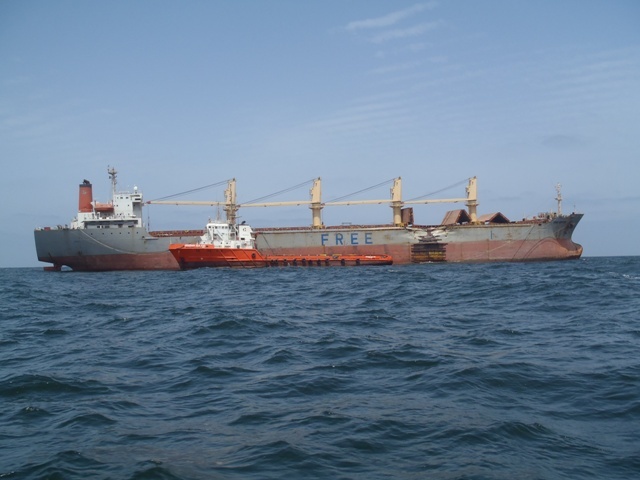 Bulk carrier FREE NEPTUNE (31,000DWT, built 1996) was at anchor in ballast off Nouakchott, when on the 6th June 2013 she was hit by bulker DA ZI YUN as the latter was coming out of the port. 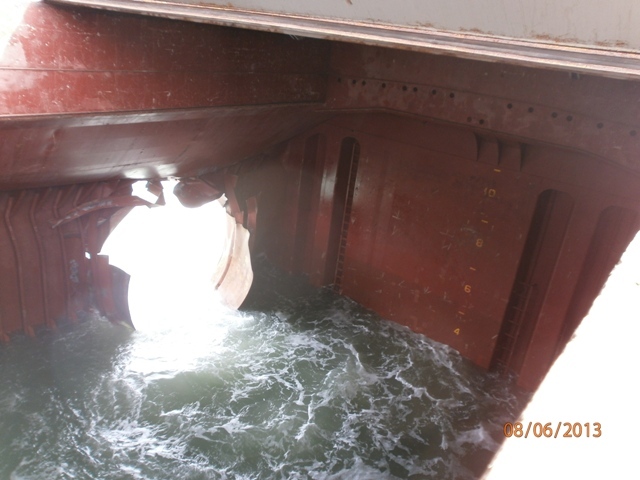 FREE NEPTUNE sustained a large rupture on her hull in way of cargo hold number 2 which flooded. 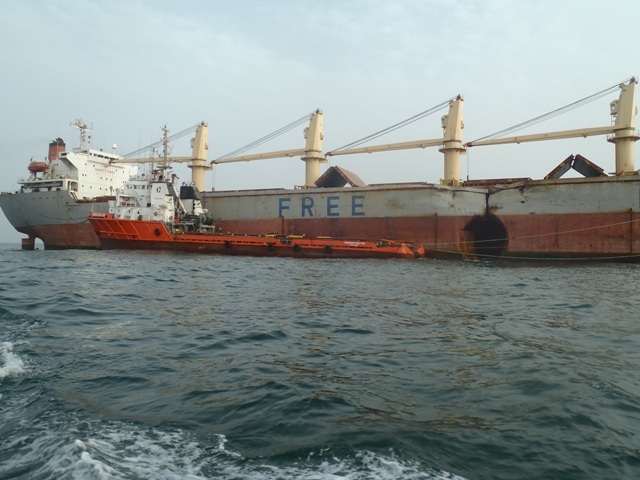 Owners signed a LOF with Five Oceans Salvage on the same day and salvors dispatched salvage tug ARABIAN SEA FOS from her salvage station in Dakar to assist. A large salvage team was also mobilized from Europe, consisting of a Salvage Master, diving team, technicians, engineers and fitters. In the course of the following weeks the vessel was patched, made watertight and tow-worthy. However, prior to completion of the temporary repairs she was arrested by various interests and prohibited from sailing. 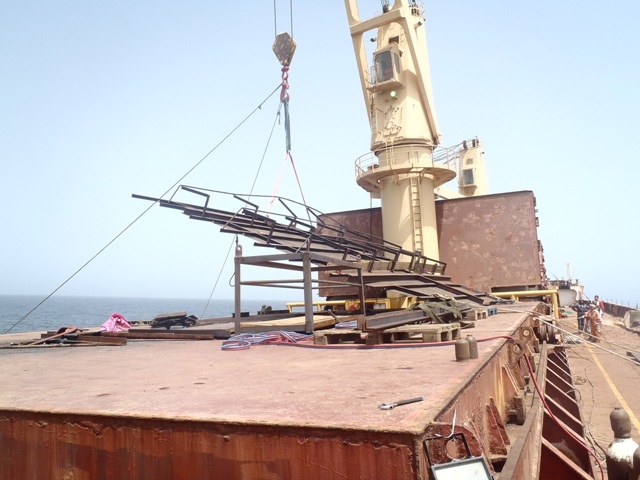 Eventually, salvors facilitated the necessary payments for the vessel’s release and towed her to Turkey for repairs, where the casualty was redelivered in Yalova anchorage on 02nd September 2013. 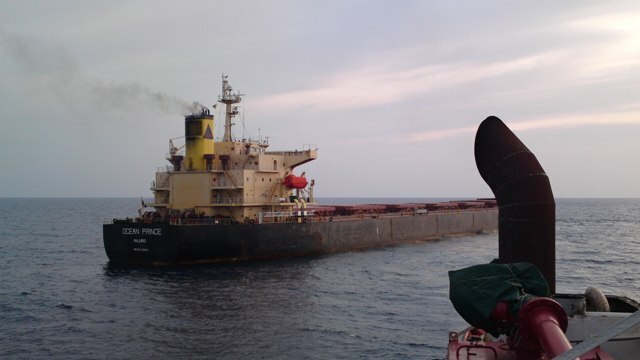 Bulk carrier OCEAN PRINCE (76,000DWT, built 2004) laden with grain from South America to Malaysia, was immobilized due to auxiliaries failure in the Indian Ocean early March 2013. 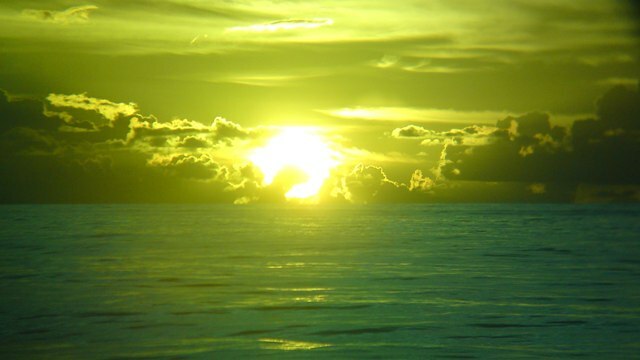 Owners signed a LOF with Five Oceans Salvage on 07th March. 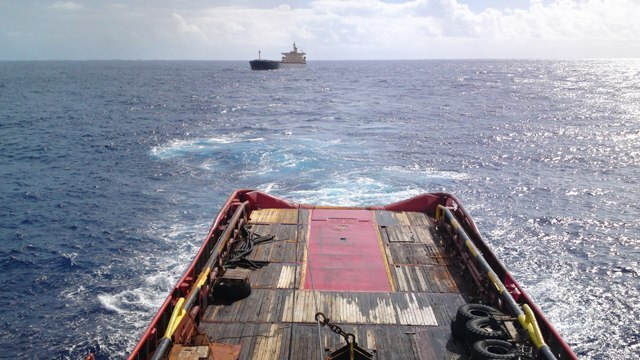 Salvors dispatched tug CORAL SEA FOS from Mauritius to assist and tow the vessel to Colombo where she was redelivered to her Owners on 01st April 2013.